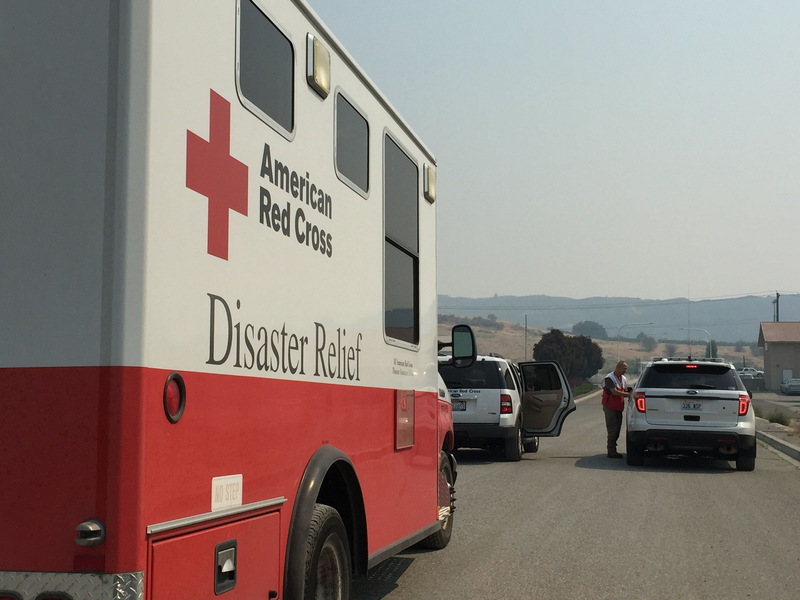 The Red Cross responded to the Chelan Area Wildfire, August 2015. This is a 4-part personal account of volunteer service by Carlin Comm. Carlin Comm, based in Austin, Texas, was visiting his parents in central Washington when a fierce firestorm struck nearby in the small, resort town of Chelan. 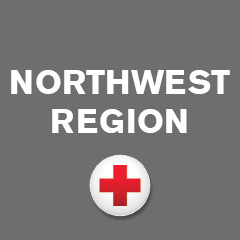 He joined his father, Garth Comm, a local Red Cross volunteer, to deploy with a recovery team to distribute supplies and provide emotional support to residents that were impacted by the devastating wildfires. The Pacific Northwest—like Texas where I live and like every part of the country—has its own kind of disaster threats. Fire, flood, hurricanes, tornadoes, blizzards, earthquakes, volcanoes – each brings its own unique challenges. The wildfires in Washington state reminded me of some pretty important lessons. At the top of the list: make a plan, ahead of time. Sometimes you can shelter in place, others you’ll need to evacuate. Don’t wait to evacuate. Make a 72-hour plan. Have a kit packed, and ready supplies to survive comfortably on your own for the first three days. Clothes, snacks and food, water. Work gloves and boots. It might be a few days before any help gets to you. The power will probably go out, so have batteries for flashlights, radio, etc. And remember, gas stations can only pump gas when there’s power, so it’s a smart plan to refill your tanks when you’re down to half a tank. If you store gas, do it safely, and away from your house! Don’t expect services like water, power, phones and cell phones to be available. They probably won’t be. Make a communications plan. If you are separated from your family, you’ll want some way to get word to each other of the situation. This may include a relative in a different part of the country, who could relay messages. And designate a meeting point, an agreed upon landmark, such as a fire station or police station that would be manned. When possible, having some kind of alternate power, such as a solar panel and battery or a generator, could keep your cell phone charged, and emergency radio working in an extended power outage. So, what’s your plan? Mine will be not only to prepare, but to join my local Red Cross, back here in Austin.